la concurrence, une analyse de ces procédures paraissait d’autant plus nécessaire que leur introduction a souvent été décidée sans un examen préalable approfondi. La comparaison souvent faite avec les expériences similaires aux Etats-Unis est particulièrement délicate car les procédures de négociation s’inscrivent dans des cadres processuels différents de part et d’autre de l’Atlantique. 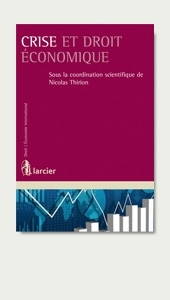 Le propos des Quatrièmes rencontres de droit économique du CREDECO a pour objet une première analyse des procédures telles qu’elles sont mises en œuvre en France et dans l’Union européenne, et conduit à une large ouverture sur des questions plus générales soulevées par les contentieux économiques. Sur le plan de la théorie juridique, ce thème illustre à nouveau la complexité et la subtilité du droit de la concurrence au sens de droit de la régulation de la concurrence. 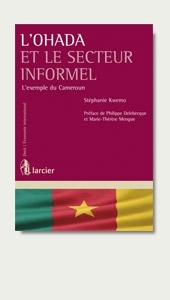 Il illustre, en effet, l’obligation pour le juriste de construire des équilibres souvent savants et fragmentaires sous l’égide des trois logiques difficilement conciliables que sont la théorie économique, le droit de la concurrence et la (ou les) politique(s) de la concurrence.L’intérêt de ces journées tient en l’originalité de la démarche choisie qui résulte de regards croisés et ce, à deux points de vue : regards croisés entre économistes et juristes, regards croisés entre universitaires et praticiens. Il s’agissait, en effet, de mettre en perspective les tentatives de conciliation entre deux objectifs de valeurs apparemment aussi dignes d’intérêt l’un que l’autre : la recherche de l’efficacité économique et la sécurité juridique. passed several reforms aimed at enhancing efficiency and effectiveness. Leniency programs, settlements and other forms of transactions are increasingly used in competition policy regarding both anticompetitive agreements and abuses of dominance. Such tools aim at improving the effectiveness and the efficiency of competition rules enforcement. 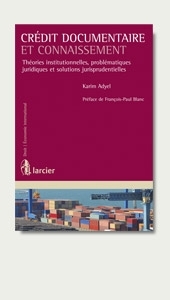 Their fundamental purpose is to reinforce the dissuasion of anticompetitive practices by allowing competition authorities to decide more quickly, easily and with more legal certainty, to give a more accurate answer to competitive concerns and to concentrate their limited resources on cases especially likely to harm competition. Despite their common denomination of “negotiated procedures”, the real place of negotiation is very different from one procedure to another. In addition, the articulation of the different procedures might give opportunities for strategic uses that could, finally, undermine their initial purposes. Leniency programs, settlements and other forms of negotiated procedures take place at various stages of case handling by competition authorities. Therefore, the information available to the parties varies also according to the time a decision on entering into a negotiated procedure is taken. It is thus interesting to analyze these various procedural steps in the light of incentives given to parties for applying for any procedure. The paper analyzes both the various types of conflicts that may occur between the Authority and the parties regarding these procedures, and the need to carefully handle them with a view to maintain the effectiveness of negotiated procedures. Leniency programs, settlements and other forms of transaction have the same purpose. It is to facilitate relations between competition authorities and firms in order to speed up case handling and to ensure a more efficient enforcement of competition law. The French Competition Authority and the EU Commission have developed similar practices. With fines increasing, firms are worried about legal uncertainty. As a result firms are developing new strategies, both defensive and aggressive ones. In this new situation, the viable solution for a firm is a strategy that addresses both concerns at the same time: reduce the sanctions and comply with reasonable requirements of competition law. by Apple to Orange in France. The existence of interim measures and the hold-up risk between parties artificially increase Orange's incentives to propose commitments. The risk of a socially inefficient commitment therefore increases. This article aims at studying the economic dimension of the bargaining process in merger control by using the latest results in the literature. After recalling the classic typology of merger remedies, we look at what is at stake in the negotiation between merging parties and the competition authority. The tradeoff between merger remedies, efficiency gains expected from the file, and the length of the authority’s investigation is at the core of the bargaining process. Lastly, assessing the success of the negotiation provides insight into how best to implement merger remedies. Contemporary competition law has given birth to two sisters. They are not really twins but look like very similar. One is the French nolo contendere procedure also referred to as a plea of no contest. The other is the European settlement procedure. In most competition laws, we can find these two new procedures. However, nobody knows how they will develop as regards their quality and defects. Leniency programs in competition law allow firms to be fully or partially exempted from fines. However, there is a doubt about the real nature of this leniency. Indeed, a firm, which wants to benefit from leniency, has to be the first to denounce an infringement of competition law. It must reveal the existence of a cartel agreement and bring sufficient evidence to the authorities. 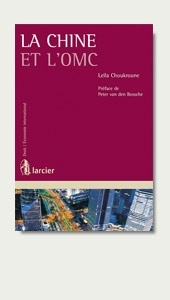 Paradoxically, therefore, leniency appears as an effective tool for competition authorities. Furthermore, leniency is primarily used as an instrument for monitoring and detecting infringements in the context of the fight against major cartels. It has an incentive effect on firms. As a consequence, a real race between firms could be triggered by such an incentive. Consequently, these programs help competition authorities to fulfill their mission. These two features, enhance detection and investigation, which are the distinctive characteristics of leniency programs in competition law. This meeting contributes to scientific progress in one of the most evolving fields of competition law, that of negotiated procedures. Leniency programs, settlements and other forms of negotiated procedures (French nolo contendere procedure and EU settlement) are more and more frequently used, and are gaining maturity. Negotiated procedures constitute a topic of deep importance for both competition policy, and for procedural law and legal theory. It is thus interesting to analyze and monitor these various procedures both in the light of the incentives given to parties to use any one of them, and with a view to uphold the rules of general competition and the fundamental legal safeguards of a fair and effective procedure. Pourquoi consacrer une journée aux «Nouveaux marchés de l’environnement» ? En quoi ces marchés de l’environnement seraient-ils nouveaux ? La césure apparaît sans doute en 2004-2005 lorsque sont mis en place les marchés d’émissions de gaz à effet de serre. En 2007, un nouveau pas est franchi : afin de protéger la biodiversité, la Commission européenne, dans son Livre vert sur les instruments fondés sur le marché en faveur de l’environnement et des politiques connexes, prône des régimes «qui transforment les responsabilités environnementales en titres négociables». Titres négociables. Voilà en effet un palier supplémentaire franchi vers des relations plus étroites entre l’environnement et le marché et vers une dématérialisation accrue des éléments naturels qui se prêtent dès lors davantage au «jeu du marché». THE NEW ENVIRONMENT MARKETS (Troisièmes rencontres de droit économique du CREDECO, Nice, June 2009). - Why dedicate a conference to the “new environment markets”? Why should these environment markets be considered as new?The fracture probably appeared in 2004-2005 when greenhouse gas emission markets were established. In 2007, the European commission took a new step in order to protect biodiversity. Indeed, in her green paper, dedicated to the «market-based instruments for the environment and related policy purposes», the commission recommended systems that would “transform environmental liability into securities”.Securities: This is actually a step further towards more entangled relationships between ecology and the market, but also towards a more developed dematerialization of natural elements that will be more adapted to the market. Would these reflections on greenhouse gas emission markets accommodate biodiversity?Without any doubt, we should make a link here between, on the one hand, legal documents and reflections related to the use of market mechanisms as tools to protect the environment and, on the other hand, studies that tend to give a value to biodiversity or to its components; would it be natural resources, functions or services that they could fulfill. Our study then leads to the question of which classifications should the law assign to those new goods.Beyond this, potential biodiversity markets, such as greenhouse gas emission markets, should be supervised and regulated. All the authors of the third issue of the "Dossiers de la RIDE" agree on that point. Focused on actual political choices, associated with some environmental conscience and, generally speaking, with some life-ethics, state action should be accompanied by appropriate agencies and rules, should it be on an international, national or regional field. An environmental agency that would be more representative of the different stakeholders is required, together with a higher degree of legal regulation, which would be more open and transparent. Ce deuxième numéro des Dossiers de la RIDE réunit les communications qui ont été données lors des Deuxièmes Rencontres de droit économique du CREDECO, en juin 2008, à Sophia Antipolis. le délicat équilibre entre intérêts privés et intérêt général dans la régulation des domaines agricole et agroalimentaire, qu’il s’agisse de normalisation ou de propriété intellectuelle. les cinémas municipaux, la crise des marchés financiers, ou encore l’émergence de techniques de réparation et de compensation des dommages écologiques. A l’occasion du 20e anniversaire du Conseil National de l’Alimentation à Nantes fin 2005, un colloque international a été organisé sous la direction de François Collart-Dutilleul : LA RÉGULATION DU COMMERCE COMMUNAUTAIRE ET INTERNATIONAL DES ALIMENTS, 1ères Rencontres Louis LORVELLEC. des trois tables rondes qui avaient été organisées avec des participants européens et américains. La question principale était de savoir si l’on peut penser spécifiquement le droit du commerce international des aliments. Les analyses et les propositions de jeunes doctorants du monde entier, à travers les «Principes de Nantes», aident à mieux poser les trois séries de questions qui ont été à l’origine de ce colloque et de ce dossier. 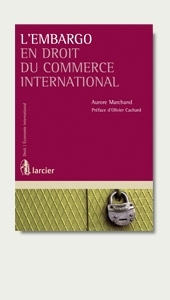 Quelle est la configuration du droit international applicable au commerce des aliments ? Il fallait essayer de définir les conditions juridiques d’accès au marché pour des opérateurs issus de mondes économiques, culturels, sociaux, environnementaux différents. Quelles sont les limitations susceptibles d’être apportées au libre commerce des aliments ? Il s’agissait de savoir si le dernier mot en matière de commerce international et de barrières non tarifaires doit revenir à la science ou aux autres valeurs économiques, religieuses, culturelles, sociales. Fondamentalement enfin de nos jours avec les progrès des technologies, la question se pose de savoir s’il y a une nécessité de différencier les produits selon leur nature agricole ou industrielle et selon leur mode de production. Certains droits nationaux ou continentaux promeuvent la différenciation juridique des denrées alimentaires selon leur mode de production : agricultures biologique ou transgénique, application de critères du développement durable ou encore du commerce équitable… Au plan international, de telles différenciations pourraient être analysées comme des barrières non tarifaires au commerce.